It’s always a celebration when Samsung launches its newest edition for all the Samsung phone lovers. Each year they come up with something extravagant and a reason to celebrate. People are phone savvy now-a-days and Samsung never disappoints us. Samsung is headquartered in Seoul, South Korea and have been manufacturing not only phones but many other electronic devices, like AC, refrigerator, television, speakers and more. But one thing that they have really marked their presence on is mobile phones. 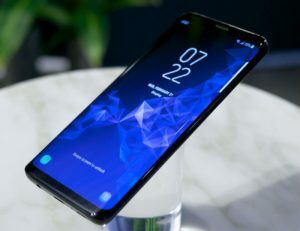 They launched Samsung Galaxy S9 Plus in March 2018. This one is said to be an updated version of Galaxy S8 Plus. Even though it is an upgraded version that doesn’t mean it is the same as S8 Plus. They have pushed the envelope a little further and have given us an incredible new model. Let us know what makes this one different from the earlier ones. So, what’s new in Samsung’s design? We are seeing companies who are designing phones which looks the exact replica of iPhone. I mean, why is it so? Why can’t they stick with some uniqueness? Well, thank God Samsung didn’t follow the trend. Samsung Galaxy S9 plus has a sleek design. Bezel being out and replaced by even wider and bigger screen makes it look marvelous. You will notice that the fingerprint sensor has been moved from the base to the back of the phone just below the camera making it even more convenient to use. The metal and glass body making it even more classy. The Gorilla class coating on the top has been made thicker to keep it safe from breaking easily. Samsung Galaxy S 9 Plus comes with a big 6.2-inch display making the viewing experience even better. So, Samsung launches Galaxy S 9 Plus with a big 6.2- inch screen and 18.5:9 AMOLED panel packs the same quad-HD+ with 1440×2960 pixelsresolution is really stunning and even better than the earlier launches. The dimension of the phone is 158.10 x 73.80 x 8.50 (mm). It works great under the sunlight as well as during the night. The resolution of this phone adjusts automatically according to its environment. 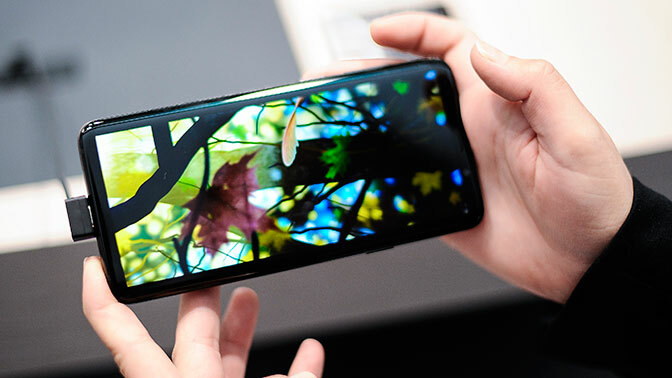 The AMOLED cinema mode makes watching a movie an experience of a lifetime.If you enjoy watching Netflix or Amazon Prime, then you won’t be surprised to know that S9 Plus supports full HDR content. You will forget about the existence of the TV in your house after watching Game of thrones on this phone. 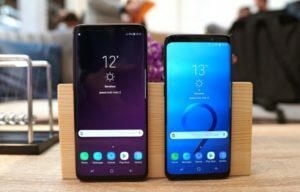 To get amazing discount coupons on Samsung Galaxy S9 Plus at an amazing price with Amazon. Make use more exclusively coupons only at https://www.couponscurry.com/amazon/. Samsung Galaxy S 9 + operates on Android 8.0. It is easy to use and runs every application without a glitch. You will find the speakers in the bottom and on the top as well. The speakers are supported by Dolby Atmos giving you a theater like experience. So, as per the sound is concerned you can enjoy music and movies both as it provides good hearing experience. Another great advantage is its call quality. It is even better than iPhone. Sorry if we have hurt the sentiments of iPhone lovers. But, honestly, the strong 4g connectivity and WI-FI is par excellence. You can change the resolution setting as per your needs. 1080p is the default resolution setting but unlike other phones you can customize it. Samsung has a great battery saver mode in comparison to other phones. Saying that you can now enjoy more movies and games. Not just this, Samsung never fails to surprise its customers. 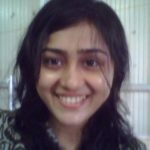 You will be amazed to see that there are duplicate messaging application. You can have a secure folder while using your phone privately and keep all your secrets hidden and use the normal mode while using the phone at office. Great advantage! Samsung has stayed with iris as well as face recognition along with the finger print scanning making it easier to use and operate. Everyone wants a good camera quality in their phone. Gone are the days when we used to carry a digital camera to click photos. Samsung has an incredible camera. It shifts automatically from day light shooting from f/2.4 to f/1.5 while shooting at night.You can either select the default mode because its lenses mind their own business giving you lesser amount of stress or you can click like a pro by selecting the pro mode. The rear camera has 12 megapixels with LED flashlight and the front has 8 megapixels. Every pictures captured by this phone looks like a professional photoshoot. Another big add on to this phone is the super-slow-motion recording, giving you an amuse-bouche experience. You can enjoy AR Emoji feature as well. The battery of Samsung Galaxy S 9 Plus is almost like Samsung S 8 Plus. It has 3500 mAh battery and not removable. Yes, we did expect the battery size to increase a bit since it has got so many added features. Depending on your usage you will have to charge this phone. But if you are not someone who uses mobile phones a lot, then it should suffice for a day. Samsung never disappoints its customers in terms of look and performance. The battery life could have been better but the other features like the camera quality and the performance are good enough to ignore that little glitch. You should buy Samsung Camera S 9 Plus because it will give you an excellent camera quality, many interesting applications to have fun with, it comes with good resolution and it looks sleek and stylish. If you want something trendy and hot, then you can surely opt for Samsung Galaxy S 9 Plus. If you want to buy new Samsung Galaxy S 9 Plus mobile or any gadgets then check out shopclues and don’t forget to use shopclues coupons on you shopping. There are lots of discount coupons available only at CouponsCurry.